– Yujiro Takahashi & Kota Ibushi Vs TAKA Michinoku & Zack Sabre Jr.
– Kota Ibushi Vs Zack Sabre Jr.
– Toru Yano Vs Zack Sabre Jr.
– SANADA Vs Zack Sabre Jr.
– Tomohiro Ishii Vs Zack Sabre Jr.
– Tama Tonga Vs Zack Sabre Jr.
– Kenny Omega Vs Zack Sabre Jr.
– Juice Robinson Vs Zack Sabre Jr.
– Hirooki Goto Vs Zack Sabre Jr.
– Tetsuya Naito Vs Zack Sabre Jr.
– There will be separate English & Japanese Streams for all days. 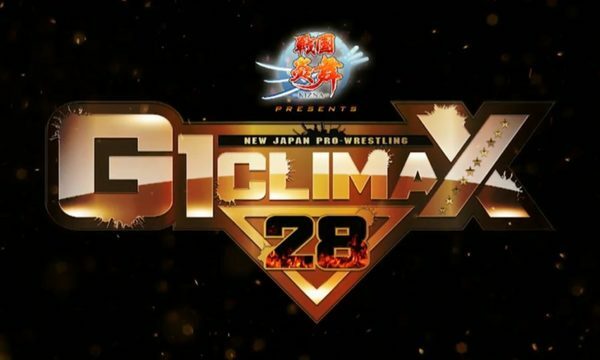 – Requested Singles Matches in – Climax 28 Singles Matches Thread. – All Related Promos will remain in NJPW Zone. Thanks for posting the schedule. A bit confusing on NJPW’s site. The Finals will be Kazuchika Okada vs. Hirooki Goto, I feeling it, why not Kota Ibushi vs. Kazuchika Okada? Simply because fans are wanting that match and the problem is that NJPW know that so they’ll don’t add Kota Ibushi in the finals. No matter what, Kazuchika Okada will win the finals against whoever it is and he’ll win back the IWGP Heavyweight Championship at WK13 on January 4th, 2019 against Kenny Omega in their 5th match. Are you going to have live stream links to road to destruction?